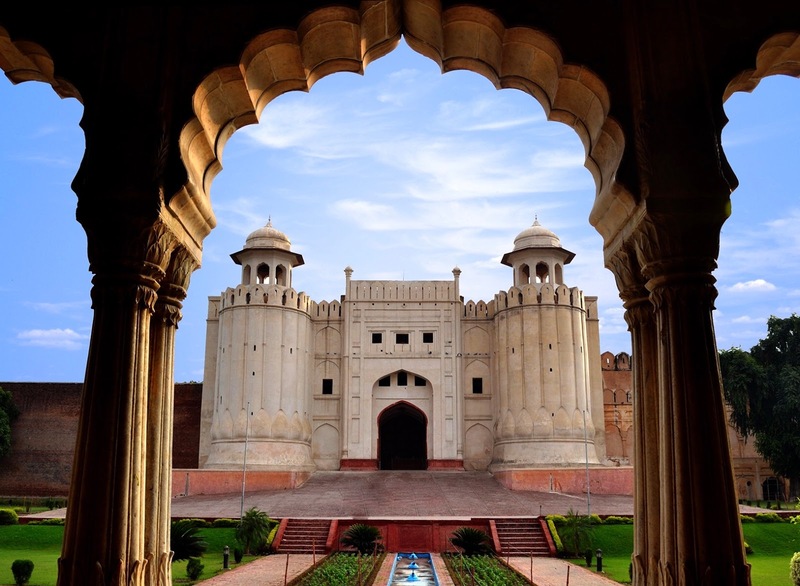 Although post the partition of India, the city of Lahore became a part of Pakistan, the city has a strong antiquity and a noteworthy past that connects it strongly to the ancient history of undivided India. Thus while writing about the Ancient Cities of India it will be unfair to ignore Lahore and similar cities, even though they are no longer a part of the new India. The origins of today’s Lahore lie obscured in mythology and can be traced back to the Ramayana era of the Treta yuga. By the end of his reign, Lord Rama and his family were credited with establishing many cities and towns as they kept visiting various parts of their kingdom. One such city was Lavpur, in the basin of the Jhelum River, credited to Lav, son of Lord Rama, as the founder. Lavpur grew in its settlements with Brahmins comprising the majority of its population. There was a temple erected and devoted to Lav in the city, which stands even today empty inside the Lahore fort as the Lav temple. The great traveller Al-Idrisi of Morocco refers to ancient Lahore as Lohawar, while Al Beruni in his description of the Himalayas (written around the 10th century AD) says “they can be seen from Lahawar (Lahore).” The ancient mythological references and the different accounts of travellers and historians of the ancient eras sufficiently establish the identity of Lavpur or Lohkot and later Lohawar as the city of Lahore and its etymology. In whatever form the ancient name of Lahore may have been written and called, it is manifest that the name has a clear reference to its mythical founder Lav, the son of Rama. Lahore came into prominence as a city and province in the 9th Century during the Hindu Shahi Empire of Kabul, which ruled over parts of Afghanistan, Pakistan and Kashmir areas, for about 300 years and was the last Hindu empire of the region, before being conquered and over thrown by the invading armies of Mahmud of Ghazni in 1000 AD. Sultan Mahmud of Ghazni conquered Lahore after a long siege and fierce battle in 1021. During the battle, the city is said to have been burnt, suffered extensive damage and was depopulated. Mahmud established Malik Ayaz as the governor of Lahore and Ayaz was able to rebuild the city and bring back the settlements. Over the period of the next 150 years, Lahore became a centre of learning and culture and gained prominence in Persian poetry. Many acclaimed Persian poets and litterateurs of the time migrated to Lahore from different places and settled here. In the words of a contemporary historian, “Lahore was the Ghazni of India… it had as more Persian poets than any other Islamic city”. Sihabuddin Muhammad Ghori took over Lahore after defeating the last line of the Ghaznavid rulers and viceroys and established Nasir-ud-din Qabacha as the governor of Punjab, who also ruled over Lahore. However, after Ghori’s death, his slave general Qutbuddin Aibak overthrew Qabacha and ascended the throne of the Delhi Sultanate at Lahore in 1206. Over the next 300 years, Lahore remained part of the Delhi Sultanate and was governed by different rulers from the dynasties of the Khiljis, Tughlaqs, Sayyids, Lodhis and Suris, until the Mughal rule began. Lahore was a favourite city of the Mughal Emperors who regarded it on the same ranks of Delhi and Agra. The Mughals made Lahore their winter capital, to escape the extreme winters of Delhi and extensively beautified the city with palaces, gardens and mosques. Emperor Akbar is credited with building many palaces and the notable architectural marvel, the Daulat Khana-e-Aam (the Hall of Audience for the public), which had one hundred and fourteen porticos. Akbar also tried to bring in a synthesis of religions in Lahore by building religious buildings for different religions. Akbar’s son and successor Prince Salim (Jahangir) was also very fond of Lahore. He is said to have been greatly enamoured by the beautiful courtesan Anarkali in Lahore. The make-believe and legendary romantic tale of Salim and Anarkali has been the subject of many shayari and ghazals, finally being epitomized in the famous Bollywood movie Mughal-E-Azam. The tombs of both Anarkali and Jahangir are in Lahore, though in different parts of the city. The Mughal architectural brilliance and spree in Lahore reached its peak during the reign of Shahjahan. He, like his ancestors, built quite a few palaces and gardens in Lahore, including the famed Shalimar Bagh. Shahjahan is also credited with building the Delhi Gate in the Lahore Fort facing the direction of Delhi, and a similar Lahori Gate in the Red Fort in Delhi, facing the direction of Lahore. The concept was to lay a direct road between the two cities starting with these Gates on either end. Shahjahan’s son, Aurangzeb constructed Lahore’s most famous mosque, the Badshahi Masjid and the Alamgiri Gate. The period after the decline of the Mughals once again saw Lahore plunged into political chaos. Nader Shah of Persia invaded India in 1739 and pillaged all the towns that fell on his way, Lahore had no escape from his wrath and loot. Soon after, the Durranis from Afghanistan invaded and Ahmed Shah Abdali captured Lahore and annexed the city. The Marathas saw this as an opportunity and extended their intention of capturing Delhi and the north of India onto Lahore. They successfully drove out the Durrani’s but the Maratha rule over Lahore was quite short-lived, as the Durrani’s returned with a vengeance. Amidst the political chaos and the battles for supremacy, the confederacy of the Sikh misls led by Maharaja Ranjit Singh made gains as they defeated the Durranis in a battle between Lahore and Amritsar and successfully drove them out. Maharaja Ranjit Singh built his empire across the Punjab region and ruled from Lahore, till the Anglo-Sikh wars that saw the passing of Punjab into the hands of the British. Legend has it that Maharaja Ranjit Singh had obtained the famous Kohinoor Diamond from the defeated Durrani ruler and brought it with him as he set up the capital of the Sikh empire in Lahore. Thus, in a sense, for the next few generations, as Maharaja Ranjit Singh and his descendants ruled over Lahore, the city was home to the world’s most precious diamond. The Kohinoor diamond had been officially willed by Maharaja Ranjit Singh to be sent to the Lord Jagannath Temple in Puri (Odisha), but the British did not allow his will to be executed after his death. At the end of the second Anglo-Sikh war when Punjab was annexed to the British Raj, the Kohinoor was taken from the family treasury by the British officers and ceded to Queen Victoria through the ‘Last Treaty of Lahore’ in 1839. The youngest son of Maharaja Ranjit Singh, the nine-year-old new and titular Maharaja, Duleep Singh, had absolutely no authority or control but to part with the diamond to the British governor general Lord Dalhousie. The British established new garrisons and installed army cantonments in Lahore, as for them the city was a frontier town sharing borders with Afghanistan and Persia. The region was re-designated as the ‘North-west Frontier Province’ with Lahore as its capital. Under the British, Lahore saw re-development and surge of colonial architecture, which was a mix of Mughal, Gothic and Victorian styles. Sir Ganga Ram, who is often referred to as the ‘father of modern Lahore’, designed and built new buildings and clock towers in the city. Lahore deserves a special mention in the Independence movement of India. It is in the 1929 Indian National Congress session held in Lahore that the motion of Declaration of Indian Independence was first tabled and unanimously passed. At the midnight of 31st December 1929, for the first time the current tricolour (the present National Flag of India) was hoisted in Lahore as a National Flag and was saluted by a huge congregation of people. Netaji Subhash Chandra Bose is known to have stayed in Lahore during his escape from the clutches of the British, on his way to Europe to garner support for the Indian independence movement. The British prison in Lahore was a much feared one for its dungeons and excruciatingly harsh treatment meted out to the Indian freedom fighters. Noted freedom fighter Jatin Das died in the Lahore prison after fasting for 63 days in protest of the harsh treatment by the British to the political prisoners. One of the greatest martyrs in the Indian Independence struggle, Shaheed Sardar Bhagat Singh was hanged inside Lahore prison. In 1940, in another session, Muhammad Ali Jinnah of the then All India Muslim League first presented the ‘Two-Nation theory’ to the British and demanded the creation of Pakistan. Lahore was the capital of ‘undivided Punjab’ till then, and hence after the partition and independence, when Lahore became part of Pakistan, the Indian state of Punjab chose Jalandhar as its capital (later moved to Chandigarh in 1953). Lahore continues to remain as one of Pakistan's most important and populated cities, located a mere 50 km away from Amritsar, across the Attari-Wagah border. I am participating in the #BlogchatterA2Z challenge and today’s letter is ‘L’. Great to no about such beautiful things about Lahore and its connections with Delhi during Mughal Era, especially, the story of Selim-Anarkali. Nice post. Thank you Sayanti for reading and commenting. I am happy that you liked the story of Lahore. Yes, the love story of Salim-Anarkali is legendary now! Oh so Lahore was a city founded by Lav, lord Rama's son is it? I guess most of the cities in and around India trace their History to the times of the Ramayana and Mahabharata. So many cities with such a varied historical significance and cultural heritage. Your research and the detailed descriptions are really great. Thank you Jai for your comments! I am happy to be able to provide some new information in all my posts... the history of our ancient cities is a colossal treasure trove!